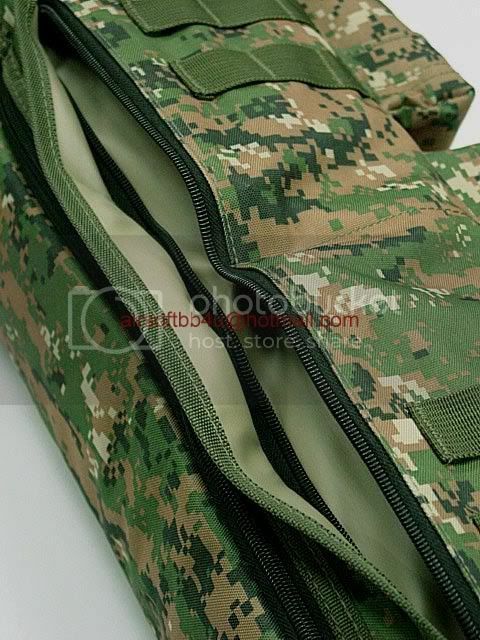 Utility shoulder pack made by high density Nylon material. 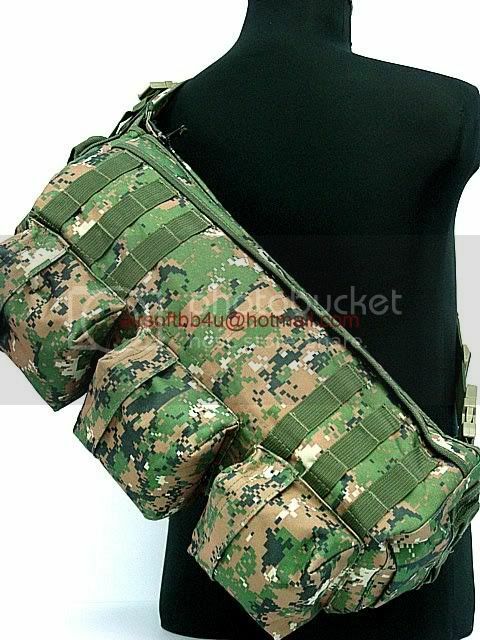 Tactical go pack as seen in the movie "Transformers". 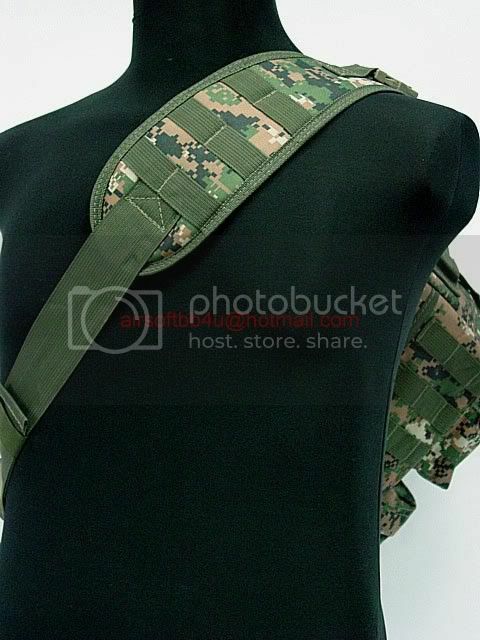 1" molle webbing throughout 2 sides of the backpack and strap. Double zipper opening on the back side. 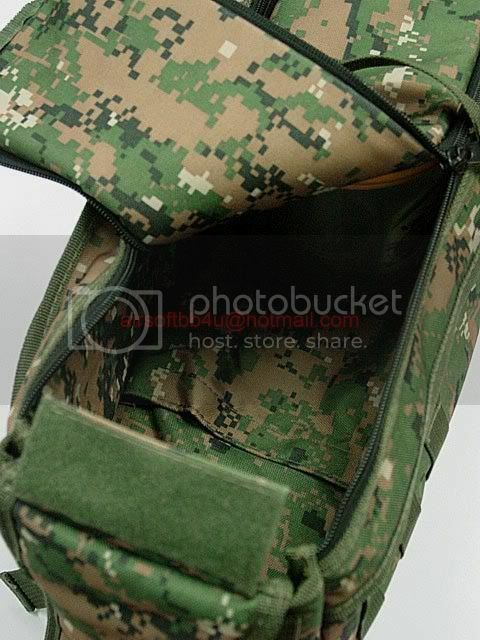 3 utility pouches on the front side.